Over the last 30 years, Rich has developed a national corporate and transactional practice with extensive experience in corporate matters. He represents both privately held and publicly traded companies, including serving as general counsel of a publicly traded NASDAQ company for approximately 10 years while continuing his position with the law firm. Rich has worked on a wide variety of corporate and transactional matters in the chemical, energy, utility, manufacturing, automotive, trucking, mining, electronics, temporary services and food industries. Companies involved on the other side of these transactions have included Ford Motor Co., Daimler AG (Mercedes-Benz), Dow Chemical, DuPont, ExxonMobil, British Petroleum, Mitsubishi Rayon, Nalco Chemical, Ineos USA, Asahi Kasei Chemicals, ConocoPhillips, Lucite International, LaPorte Industries, U.S. Oil, Shell Canada Energy, Syncrude Canada Ltd., Kelly Services and the Hershey Co. 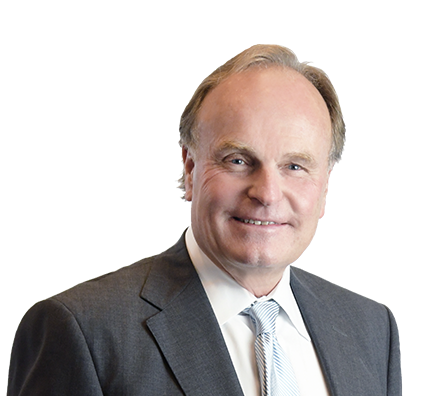 Chambers USA recognized Rich for being the first "port of call" for companies in the chemical and utility industries and for his "organized, determined and meticulous" approach to M&A transactions. According to Chambers, clients were "impressed with his legal skills" and praised Rich for being "perceptive and accurate" and “deeply experienced in both the legal and market elements of transactions." Represented manufacturer of concrete pumping systems and accessories in negotiating strategic partnership with a company offering complementary services. Our team also negotiated acquisition of an ownership interest in the new partner and handled document preparation for the transactions. Represented a large multinational chemical manufacturer headquartered in Europe in the acquisition of a division of a large multinational chemical manufacturer with assets in the United States, China, Korea and Europe. Advised a French-based holding company on the acquisition of a heavy equipment manufacturing company in Wisconsin. Later represented the U.S. subsidiary of the company in the sale of the company to a private equity firm. Represented the North American arm of a company headquartered in Spain in multiple strategic acquisitions of companies in the theme park/water park industry in the United States. Counseled the North American operations of a European chemical manufacturer on the acquisition of numerous chemical companies and chemical plants across the United States. Advised multiple foreign enterprises on the acquisition of companies in the mining industry. Represented a publicly traded Canadian energy company in the acquisition of the natural gas division of a U.S.-based oil and gas company. Represented a Wisconsin utility company in the divestiture of three water utility systems in Wisconsin and Illinois. Advised a Wisconsin utility company and an Iowa utility company on the divestiture of their gas and electric utility systems, which involved the separation of two interconnected utility systems in contiguous states. Represented a publicly traded company in the acquisition and development of a wind farm in Wisconsin. Counseled a Wisconsin utility in a lease generation transaction involving a long-term lease of a power plant. Represented a European-based holding company with international operations in the acquisition of the world’s largest water park and the acquisition of a seaquarium in Florida. Represented an engineering services company in the sale of the business to a large publicly traded company.